Classic Film and TV Café: What's Your Favorite Holiday TV Special? For me, the answer is easy: the Rankin/Bass Rudolph the Red-Nosed Reindeer, which was originally broadcast on NBC in December 1964 and has been shown annually for the last 45 years. It's got colorful characters, a sweet story, and memorable songs by Johnny Marks (e.g., "There's Always Tomorrow," sung to Rudolph by her girlfriend Clarice, is quite lovely). 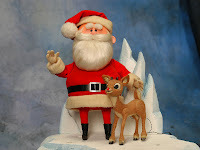 But I think the biggest reason for Rudolph's enduring appeal is the Rankin/Bass "Animagic"--stop-motion animation that gave the characters a unique charm (e.g., the Bumble looks more like a stuffed toy come-to-life than a fearsome creature). I think the voice actors deserve a tremendous amount of credit, too. 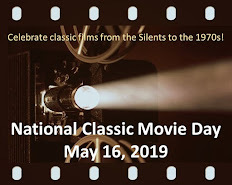 It's interesting to note that, except for Burl Ives, there are no big name performers doing the voices--a sharp contrast to today's animated films, such as The Fantastic Mr. Fox which "starred" George Clooney and Meryl Streep. The history of the Rudolph the Red-Nosed Reindeer TV special is well-documented elsewhere, so I won't repeat it all here. But did you know that Rudolph been re-edited a few times over the years? In the original version, the fate of the Misfit Toys wasn't shown--so a new ending was shot the next year, showing the toys being rescued. To add that footage, other scenes were shortened or deleted...and some of those were restored for later versions. Rankin/Bass also produced two sequels: Rudolph's Shiny New Year, which debuted on ABC in 1976, and Rudolph and Frosty's Christmas in July, a 1979 theatrical film that was released in the summer (!). For more on Rudolph the Red-Nosed Reindeer and other Rankin/Bass specials, check out the Enchanted World of Rankin/Bass web site. OK, that's my fave. Are you a Rudolph fan or do you prefer A Charlie Brown Christmas, How the Grinch Stole Christmas, Mister Magoo's Christmas Carol, or another holiday classic? I'd love to hear from you! It's a tough one for me to pick between Charlie Brown Christmas and Mr. Magoo's Christmas Carol. I love Mr. Magoo's -- it is so darn sweet and has lovely little musical numbers. I think it's really good. And Charlie Brown, well, that end where Linus tells the Christmas story is just beautiful. Those are my definite favorites. And of course, the Grinch with Boris Karloff. Love everything by Suess, especially this one. So see, I can't decide. I love 'em all! over 40 years old. I just got the Peanuts 1960's DVD box set. I love the Disney's Mickey's Christmas Carol(1983). This is a fun question! My favorite moments on TV specials have to include: "She thinks I'm cuuuuuute!" said by a sweet young red nosed reindeer about Clarice. Linus reading the Scripture about our Lord's birth touches my heart each time I see A Charlie Brown Christmas. That poor little dog Max being forced to assist a very wicked Grinch always tugs my heart strings in the animated special. And each of the Christmas Carol versions has moments of excellence, whether it's Mickey, Magoo, or Muppets. Still, there is another Rankin/Bass special called "The Life and Adventures of Santa Claus" that I also really enjoy. It is based on the book of the same name by Oz creator L. Frank Baum. I haven't seen it in way too long and plan to watch it later today from my taped from TV videocassette. What about Frosty the Snowman? It has always been my favorite. Charles, one of our friends on the Cafe's Facebook page, said A CHARLIE BROWN CHRISTMAS was his favorite. But he also added FROSTY, THE YEAR WITHOUT A SANTA CLAUS, THE HOUSE WITHOUT A CHRISTMAS TREE, and THE HOMECOMING: A CHRISTMAS STORY. 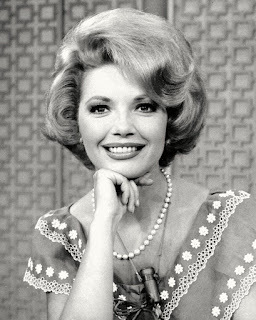 The latter evolved into the THE WALTONS TV series (though it starred Patricia Neal as Olivia Walton). Also, thanks for the info on the boxed set, Paul (another good Christmas gift idea).